I have a weakness for Frank’s Hot Sauce. 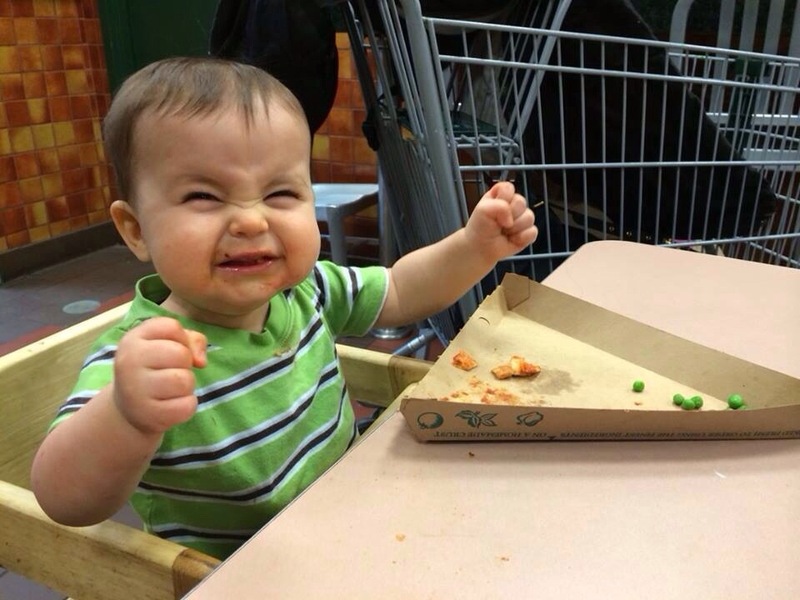 It makes me feel like Everett looks in this photo after eating pizza. It is such a versatile ingredient that has all the spicy, salty, tangy flavors that I love. You can mix it with Ranch for southwest salads, mayo for spicy black bean burgers, and as a dip for veggies. I usually associate it with my “off diet” days because it inevitably (and happily) means I’m eating bar food. But when I recently stumbled upon this devilishly good recipe going around on Pinterest for Buffalo Cauliflower Bites I knew I had hit gold. You can substitute unflavored soy milk for the buttermilk to make it vegan. I also made it without the butter so it was a tad dry but totally worth it. Preheat oven to 350º. In a large bowl whisk together buttermilk, flour, and garlic salt until smooth. The batter should be slightly thick so that it sticks to the cauliflower. Place the cauliflower into the bowl of batter and gently toss to coat. Spread the battered cauliflower out on a greased baking dish. Bake for 20–25 minutes turning once until some of the edges turn a nice golden color. While the cauliflower is baking combine the buffalo sauce and melted butter in a small bowl. 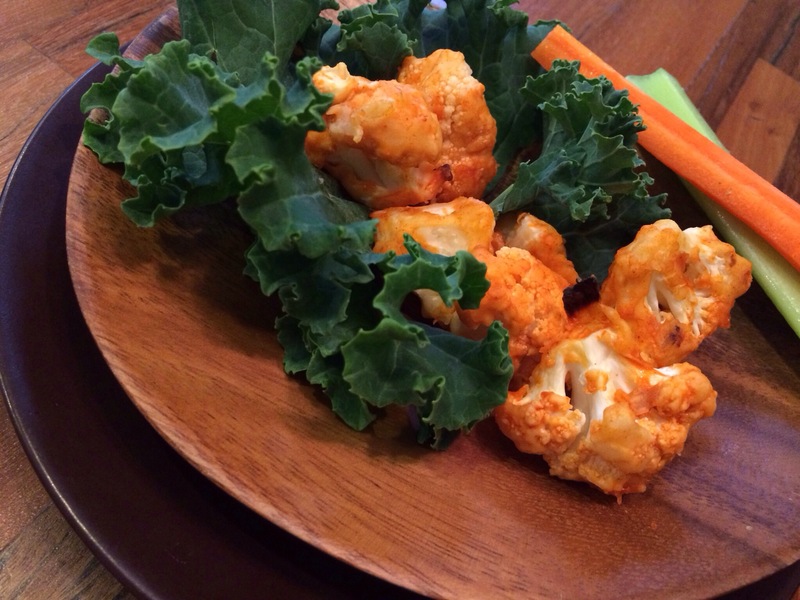 Remove the cauliflower from the oven and drizzle the buffalo sauce mixture over the top and toss to coat. Return the cauliflower to the oven and bake for an additional 5–10 minutes. Remove the finished cauliflower from the oven, serve hot or warm.